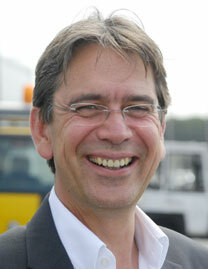 A car bearing Dutch licence plates swings into Airport Weeze – half the airport's users come from the Netherlands. 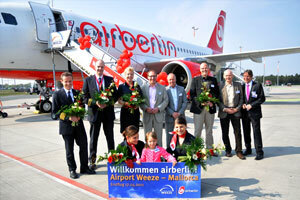 airberlin is the latest new airline to arrive at Weeze and now offers an important connection into its PMI Hub. No guessing who loves Weeze – this home-based carrier is able to operate up to 23hr30, taking advantage of up to 10-35 million of Europe's wealthiest consumers within a 1-2 hour drive. NRN is the airport for the East Netherlands, the “Ruhrgebiet” and the “Rhineland,” serving a population of 10 million within 60 minutes. 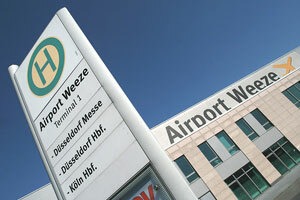 NRN is the low-cost alternative to DUS, just 40 minutes from NRN. NRN has been the fastest growing airport in Germany since 2007, serving 2.5 million passengers in 2013: making it the #3 airport in North Rhine-Westphalia. NRN is specialized in Low Cost traffic. 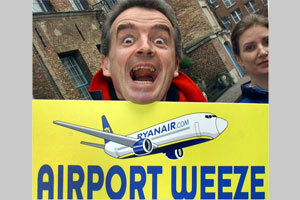 40 European direct routes are served by Ryanair, but German domestic routes are grossly underserved. 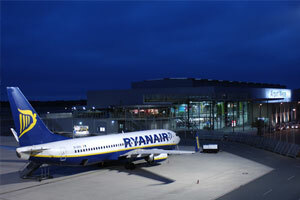 NRN offers extremely efficient services: All handling processes meet stringent Ryanair standards. Frequent direct bus connections to/from: Düsseldorf, Cologne, Duisburg, Essen Arnhem, Nijmegen, Amsterdam Utrecht. 10 Min. 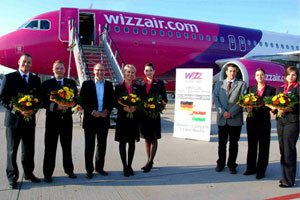 busshuttle to Weeze / Kevelaer – Railway station – train leaving for Dusseldorf every 30 Min. 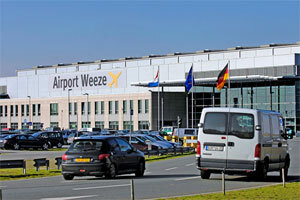 Weeze grew by 21% in 2010 to 2.9 million, securing it an anna.aero €URO ANNIE Award. Strong local pride in the airport's development, combined with graphic tourism promotion, play a significant role in its success. 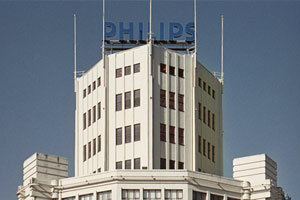 New entrants and new routes get reduced charges in the start-up phase. Full PR support: Press conferences, inaugural flight ceremonies, press trips. 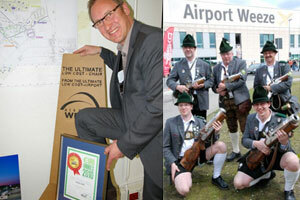 Including new customers in all airport media (amounting to up to more than 1 million copies). 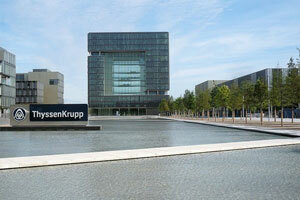 Marketing information: Market analysis and statistics on request. Happy VFR – 70% of users come from the leisure sector and half of all traffic from the Netherlands – cost-conscious airlines and consumers alike find this location highly attractive. East Netherlands (Limburg, Gelderland, Brabant). All major worldwide operating industrial, logistical and agricultural companies have a presence in the NRN catchment area! NRN is perfectly organized and facilitated for qualified and flexible logistical operations. 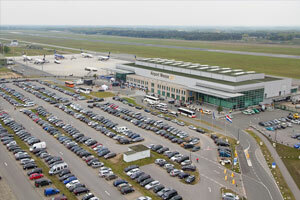 Cargo Center of 3,000 m2, including handling equipment, X-ray equipment, landside and airside areas, customs facilities, etc. 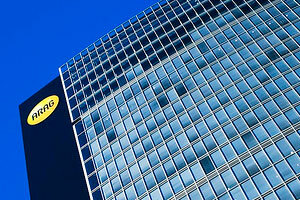 Destinations in the UK, Scandinavia, Spain etc are in preparation for possible adhoc charter operations. Integrated operational cooperation between all parties involved. 250 Ha available for development of industrial, trade and logistical companies. 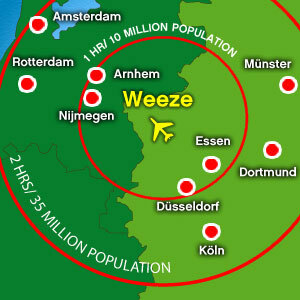 Frequent buses to everywhere – and 8,000 car park spaces – easily puts the 1-2 hour 10-35 million catchment within reach of Weeze. 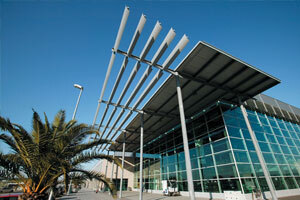 A very modern terminal – capacity 3.5 million. NRN is located next to the Dutch/German border, 70 km north of Düsseldorf, 50 km south-east of Nijmegen, close to the A57 motorway. 7,000 parking spaces close to the terminal, extensive bus network linking all nearby centres, train station in 10 minutes distance. Single terminal, capacity for 3.5 million passengers. 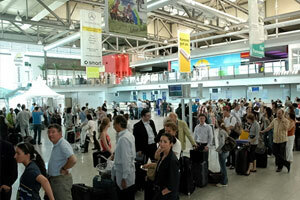 2013: 2.5 million passengers. 81% Outbound. 40% Dutch customers. 7% Business, 23% VFR, 70% Leisure.